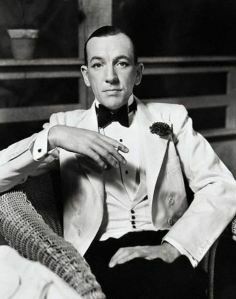 Here is British playwright Noel Coward's letterhead, found on Letterheady. 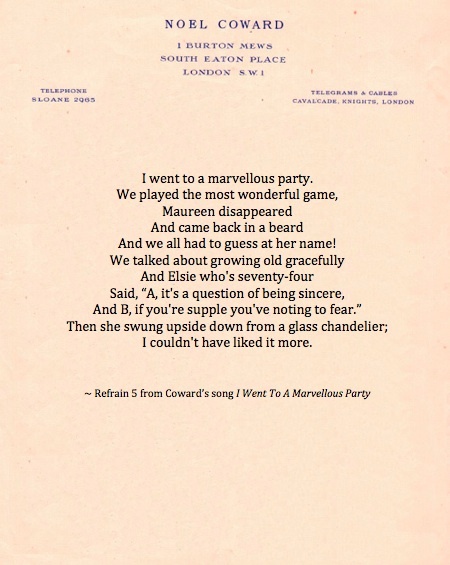 We decided to add some of his lyrics from I Went To A Marvellous Party, written in 1938. The lyrics to this song are a first-person description of five parties attended by the singer on the French Riviera. Out of Coward's approximately 300 songs, this is his most popular.